I hope you had a good journey back home. On behalf of the Organizing Committee of ICD Granada 2016 I want to thank you for participating in the XVII International Congress of Dietetics ICD Granada 2016. ‘Going to sustainable eating’ is the slogan for our ICD Granada 2016 Congress where everything revolves around the topic of sustainability. In coherence with this, the Organizing Committee has declared the ICD 2016 a paperless congress so we encourage you to follow this initiative and make the event sustainable and respectful of the environment. 4 years ago I started working on the organization of the XVII International Congress of Dietetics scheduled to be held in the city of Granada on 7, 8 and 9 September 2016. The conference theme: sustainable eating. Visit Alhambra and Generalife Tour. The first day of ICD Granada 2016, on September 7th 2016, will take place at 19.30 the Twins Festival Welcome reception. All twins dietitians will meet each other “face – to – face” after one year of having been in contact via email. Come to Quixote Dinner and live a Middle Ages experience! The Organizing Committee of ICD Granada 2016 proposes all congress participants to come back to the past and enjoy a Middle Ages experience: taste the food of the year 1477. In a wonderful initiative we have asked registered dietitians in ICD Granada 2016 tell you what will happen during the days 7, 8, 9 and 10 September 2016 in the city of Granada. The Scientific Program of ICD Granada 2016 is now available! 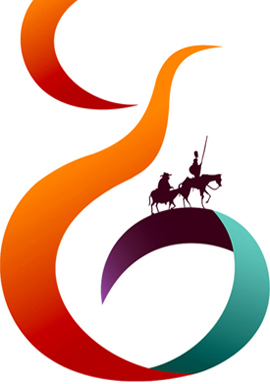 After months of work you can now check the Scientific Program of ICD Granada 2016. The organization of the ICD Granada informs that the Nazaries hotel will be the hotel in which speakers and members of the Congress organization will stay. July 30, 2015. Ends the deadline "become to speaker"
October 1, 2015. Provisional Scientific Program for the ICD Granada 2016. December 15th, 2015. It ends the deadline "Call for abstracts". January 11th, 2016. Deadline for reduced registration ICD Granada 2016. May 17th, 2016. Deadline for last reduced fee registration ICD Granada 2016. May 18th to August 23, 2016. Deadline for registration ICD Granada 2016. The ICDA board of directors sends a message to all dietitians/nutrititionists around the world, a call to work together for a sustainable supply. This is a unique chance for students to attend the most important congress of dietetics in the world! The "Twinning dietitians around the world" project has been a great success. We are thrilled and grateful for the amazing welcome it has had among the foreing colleagues. The ICD Granada 2016 Organization Committee has the pleasure to announce that from today is available the list of theaccepted oral presentations that will form the ICD Granada 2016 Scientific Programme. The Spanish Foundation of Dietitian invites you to submit an abstract of your research focusing on novel research that contributes to the scientific field of nutrition science. All of them will be considered for presentation at our 17st ICD Congress that will take place in Granada in September 7th, 8th, 9th and 10th 2016. The ICD Granada 2016 reports that the deadline for presenting scientific papers at Granada ICD 2016 is open. From the organization of the Congress and from the International Confederation of Dietetic Associations we want to encourage all dietitians / nutritionists the world present their scientific work and share their "professional and research" experiences. The organization of the 2016 Granada ICD reports that it has extended the deadline for submitting requests to "become a speaker". To date, the ICD Granada 2016 has received numerous nominations of dietitians/nutritionists the world. Do you want to become a speaker at the congress? You want to give a lecture at the 2016 Granada ICD? 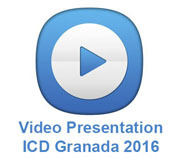 We would love to hear ICD Granada in 2016. The ICD Granada 2016 has organized a nice multicultural and sustainable experience. We propose to all dietitians/nutritionists the world that are twinned between them. Thus, dietitians/nutritionists who come to Granada 2016 ICD can twin with a dietitian/nutritionist Spain, sharing the coming months email conversation, plan the trip to Granada and meet in person for the 7th, 8th, 9th, 10th September 10, 2016. There is a dietitian/nutritionist in Spain waiting to be your twin, do you cheer?